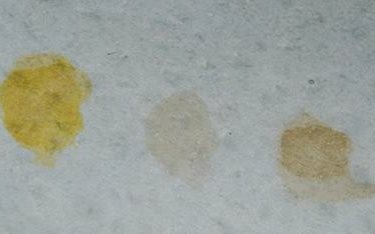 What Types of Countertops Stain? When choosing a countertop for your kitchen remodel, staining might be the last thing on your mind. Stone is naturally porous, so certain types of stone are more susceptible to staining than others. This doesn’t have to be a deal breaker for any countertop, as it all depends on your needs, budget, and willingness to accept the quirks that come with such beautiful pieces of art. It is something that should be taken into consideration though, so there aren’t any surprises after the fact. There are a variety of countertop options out there for every need, want, and price tag. If you must have marble, then you must have marble (but be prepared for the possibility of staining and etching). Some countertops are more stain-resistant, like engineered Quartz, while others fall somewhere in the middle. Countertops like marble, travertine, and wood can all stain easily. Or not. It all depends on how well they are sealed and maintained. Wood can easily be sanded and resealed to look like new again. Marble is more about prevention (no cutting lemons directly on the countertop surface unless you like living on the edge) and maintenance. Quartz, slate, glass or stainless steel, soapstone, and some types of granite are completely or fairly stain resistant. Although each have their own pros and cons. Soapstone can stain, but it can be scrubbed away easily. While stainless steel and glass are stain-resistant, they can show fingerprints and watermarks very clearly. When choosing a countertop, the capacity for staining might be a consideration, but it need not be a deal breaker. For the most part, natural stone, wood and engineered stone are all very durable. Many of the stains that do appear on stones like marble begin to fade over time and there are ways of pulling the stains out so that you don’t have to tiptoe around your kitchen.